Music is an important part of the curriculum at St. Luke's. We have a dedicated music room, with a variety of tuned and untuned percussion instruments, to foster a love and appreciation of music. Each class is timetabled a weekly music lesson and children learn about the key components of music: pitch, duration, dynamics, tempo, timbre, texture, structure and appropriate musical notations. 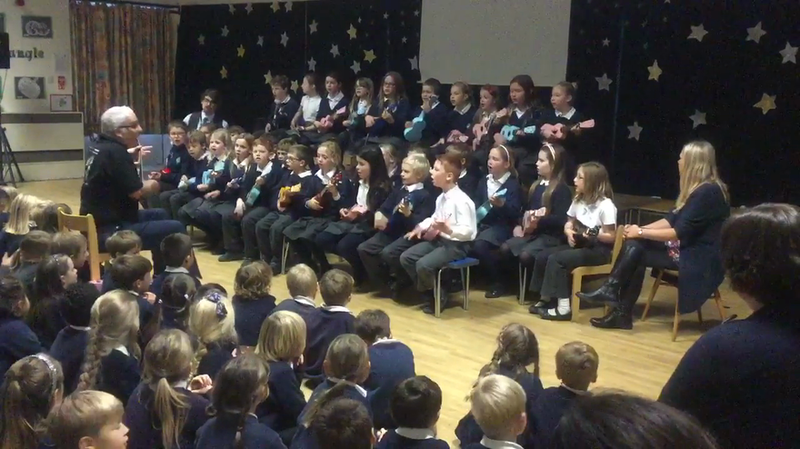 An important part of our music curriculum is delivered by Hampshire music service. Every pupil in year 4 has the opportunity to learn 3 instruments over the course of the year as part of the Listen2Me scheme. Music is a natural activity, which can take place at any time of day. We love to sing at St. Luke's and have a singing worship every Thursday where we learn new songs together. We are proud that we have a number of clubs in school run by teachers to help children of all ability enjoy music. Our choir, as well as performing at church services, is also in demand at local residential homes. Many children are enthusiastic members of our recorder clubs. We also have our own Samba club. We are also delighted that a number of peripatetic teachers provide professional tuition at St. Luke's in woodwind, brass, string and guitar. This can be arranged by speaking to the school office: there is a parental contribution towards costs.